A simple text intervention as part of ‘Parataxis III’ at ‘The Hair Cut Before the Party’ (www.thehaircutbeforetheparty.net) London, the latest in an ongoing series conceived and curated by Eleanor Weber (www.raddestrightnow.blogspot.com). Parataxis is a term coined by Jacques Rancière pertaining to his elaboration and celebration of montagist principles of discursiveness and generative chaos. This particular work considers what it is to participate discursively in an event from afar especially in a cultural climate ever proclaiming the value of instantaneity and the supposed eradication of distances. Here, words are cast as material signs physically posted into an unseen space. 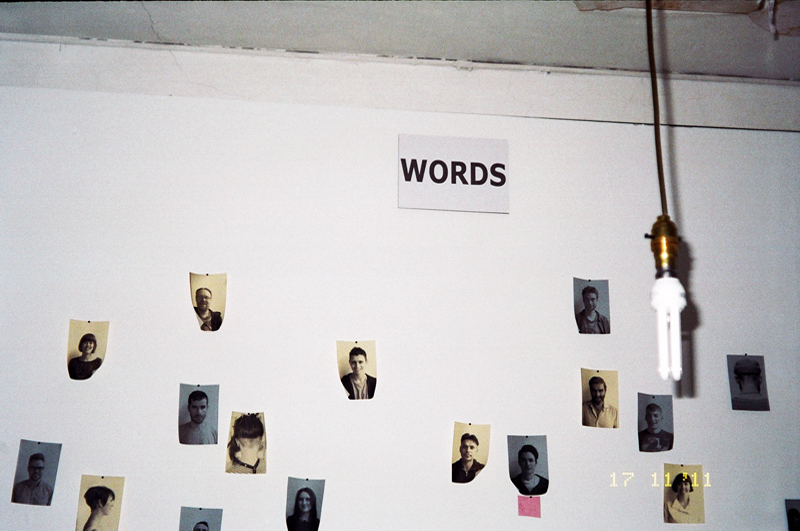 Installed, the words ‘WORDS’ and ‘TRAVEL’ face one another high across the room. Apprehended individually, ‘WORDS’ conjures in advance and in absence, the words spoken in the space on the night of the event. 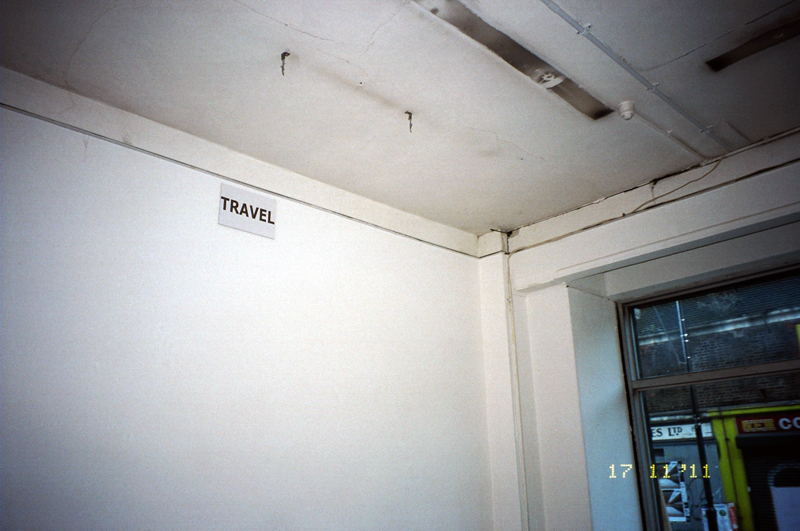 ‘TRAVEL’ obviously refers to the international(ist) paradigm of parataxis and the fact that the words themselves have literally traveled to be in the show/event. Conjoined, the phrase ‘WORDS TRAVEL’ alludes to the inevitable mobility of language but also of language’s alternate solidity, it’s simultaneous capacity to ‘mean’ and ‘not mean’. 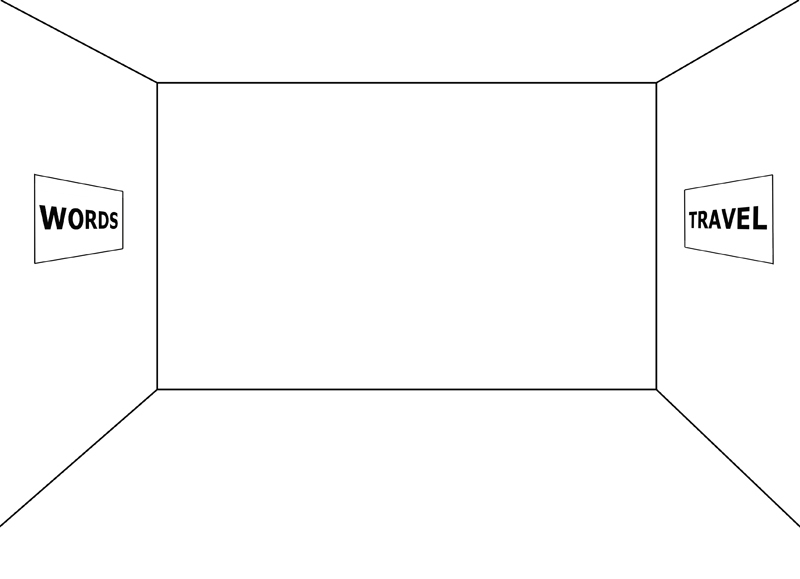 On either side of the room these words subtly bracket the action therein.